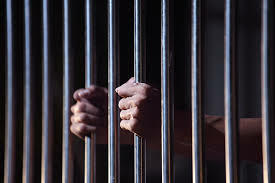 An Osun state Magistrate court has ordered the remand of a 45-year-old, law student of Adeleke University, Ede, Amah Yangu Rose, in prison for failing to appear in court over a matter of fraud pending in court. The accused person was said to have committed the offense on May 30, 2017 at Aisu area, Ede. According to the charge sheet, she obtained N710,000 from one Ogunniyi Gbadebo and another 800,000 from one Giwa Ayodeji with pretence to supply them 633bags of Dangote cement and failed to do so. The offense, according to the charge sheet, was contrary and punishable under section 419 of the criminal code. She was said to have admitted guilty of the offense and promised to refund the money through the court. When the case came up in Ede Magistrate Court on Monday, the prosecutor, Mr. Samson A., informed the court that the accused person promised to bring N500,000 to the court, but failed to do so. The prosecution told the court that the accused sent N50,000 as against the N500,000 she promised, noting that she did not send any representation to the court. The prosecution, however, urged the court to issue bench warrant against her and her sureties to appear in court. Also, Mrs. Ogunniyi Omoniyi, who held the brief for the complainant, said the accused was granted long adjournment to enable her pay the amount she promised. She urged the court to uphold the prayer of the prosecutor and issue bench warrant against the accused. The presiding magistrate, Mr. Asimiyu Adedayo, said that the accused person has no reason to absent in court without sending representative. He thereby revoked the bail granted the accused person and ordered that she should be arrested and remanded in Ilesa prison till January 25, 2018, when the matter would come up in court.